Davy Jones' Locker..............the search for the long lost engine cowling. Hello friends, and thank you for your support on this project. 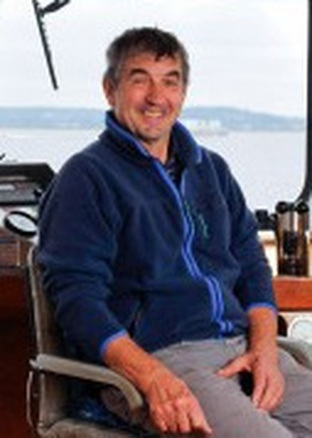 This is Gary Laws, I have quite a remarkable story to share with you all. 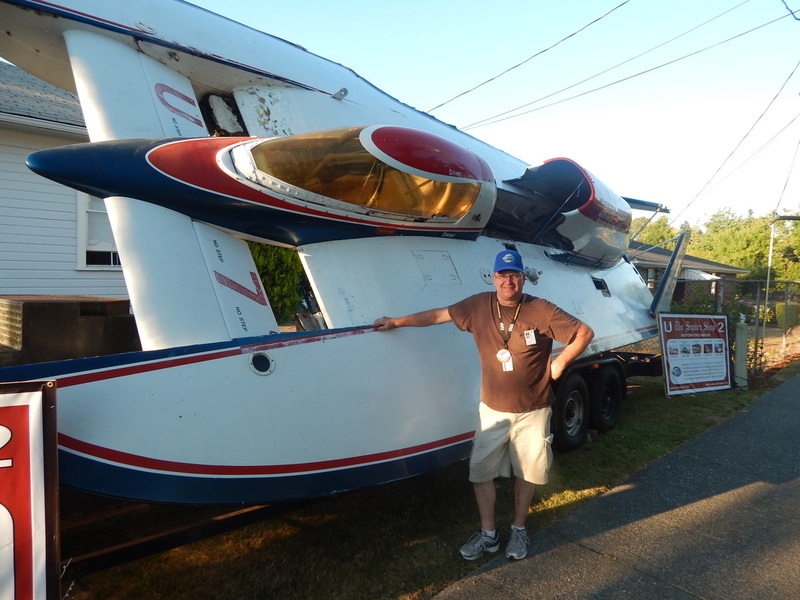 It all began at Seafair 2013, and a chance encounter with hydroplane crew legend Dan Walters (former 1979 Squire Shop team member). Ever since our ownership group purchased the hull in January 2013, we have been working hard on tracking down information concerning our boats history over the years. It was decided early on in this endeavor that we should create a website to chronicle her racing career, as well as her years in “retirement”. Not long after the website was created, we were contacted by various people who wanted to help us out in adding content to the website. It was through social media that we got our message out and that people heard about our project for the first time. In the months that followed our initial press release, we decided that it would be beneficial to bring the hull down to Seafair to make her first public appearance in over 20+ years. There were lots of rumors floating around concerning the hull’s current condition, so we wanted to silence the critics and let everyone see her up close and personal……….to make up their own minds and conclusions. We also thought this would make for an excellent fund raising opportunity, so we had buttons and pins created to be made available at the display. We only offered these items at the display itself, which made it the incentive to come down in person to see the boat and learn about its restoration plans for the future. So we got out the pressure washer and cleaned her up for her return to Seafair!!! 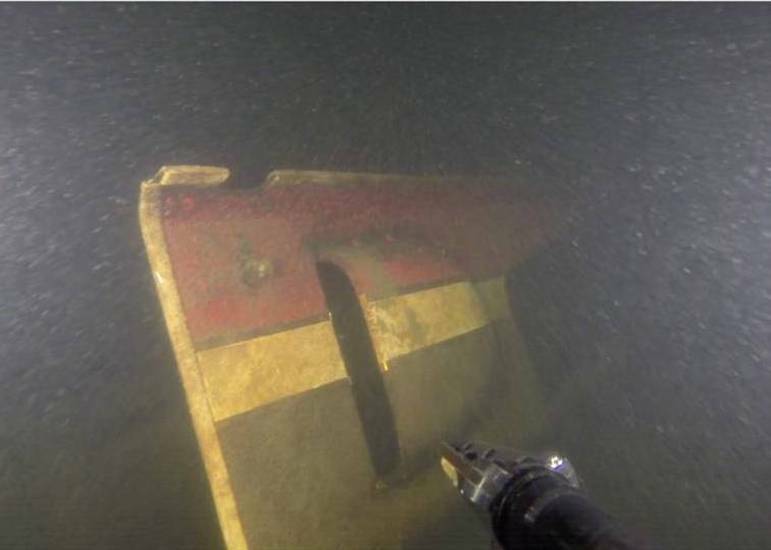 During our discussions about the boats current condition and future plans, Dan asked if we heard the story about the engine cowling that still rested on the bottom of Lake Washington. Being relatively new to the history of our boat, I told him I didn’t even know there was a cowling down there. Naturally, I was curious and wanted to learn more. Dan was more than happy to tell us about it, so here’s his story of what happened……. 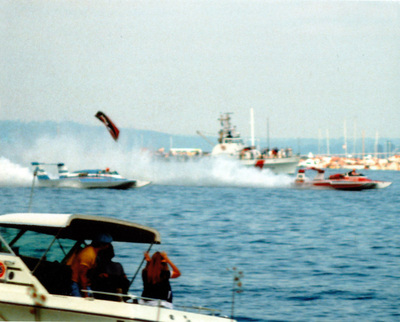 It was during Seafair of 1979 that The Squire Shop and Atlas Van Lines boats were battling each other on the 1st lap of heat 2B. As Chip Hanauer fought to keep up with Bill Muncey, The Squire Shop's engine failed and a loud noise erupted from the boat. And you can all guess what happens next, right? 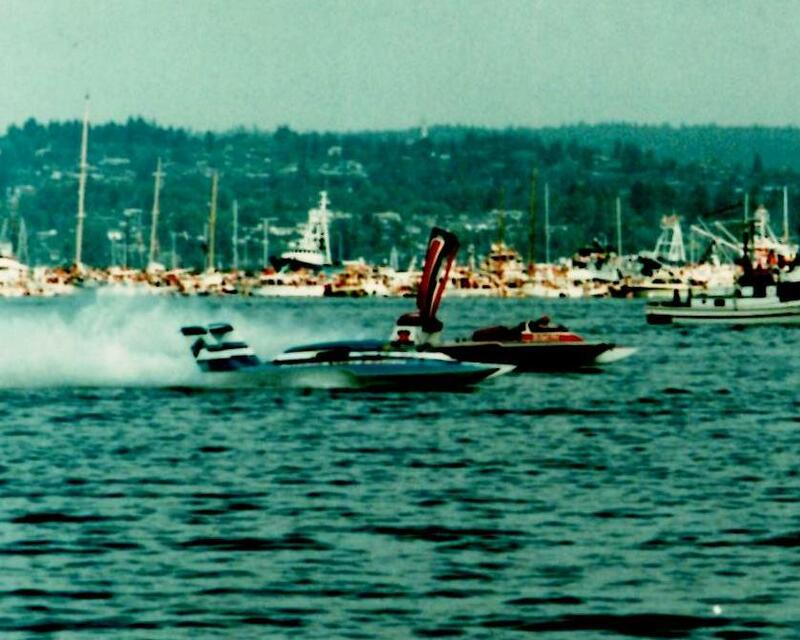 It was on the 1st lap that the engine cowling blew off (caused from the engine explosion) and sank to the bottom of Lake Washington. Chip himself even stated that it sounded like a cannon going off! Dan tells me the crew searched for days after Seafair weekend was over, but they were never able to locate it and continued the rest of the season without it. I can only assume that the team only had the one engine cowling built at the time (no backups). This would explain why it never appears again for the remainder of the season, and now you know the story behind its disappearance. I quickly then realized that this “missing” cowling may very well be the sole remaining, unmodified, recognizable, and original 1979 Squire Shop deck piece left in existence. Naturally, the story got our immediate attention and we quickly asked Dan if it was possible that the cowling was still down there after all these years? Was it fragile, solid, broken/shattered, we just didn’t know…..but we intended to find out. Dan surprised us by saying that he thinks someone may have come across it a year or two earlier while searching for a propeller, and that J. Michael Kelly (former Schumacher racing driver) could possibly provide us with more details. 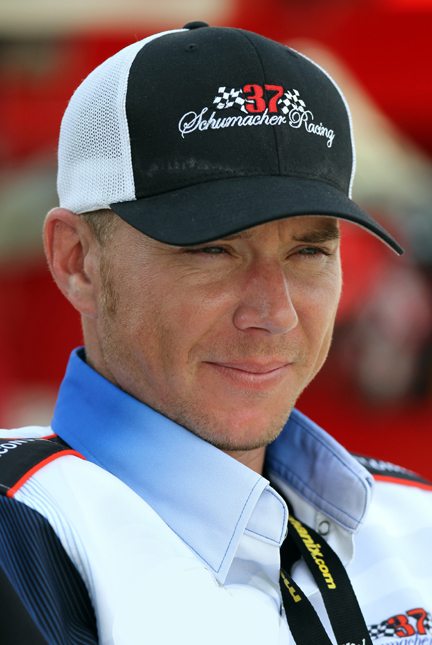 All Dan knew was that divers were involved, and that the propeller search was organized by the Schumacher racing team. So that was it, this was the only lead we had to go on to locate (and hopefully) recover what we consider the “Holy Grail” for our boat. We then realized we had a treasure hunt on our hands, and that we were the Indiana Jones’ of hydroplane racing………..well, for this project anyway. With what little information we had, we then put our heads together and quickly came up with a plan of attack………..we simply needed more concrete information to go on. Our first task was to track down the divers involved with the propeller recovery previously mentioned, to at least try and identify what exactly they had indeed found (size, shape, color, etc.). Since nobody on the current Schumacher racing team had any more information to share on who was involved, we were left to do some detective work on our own. …………a little luck wouldn’t hurt either. My wife Kristy was instrumental in the initial search for more information on the players involved. She took to the internet and began gathering contact information from the diving community to see if anyone had heard about the propeller recovery from a couple years earlier. What Kristy quickly learned was that the diving community is a somewhat small and tight knit group, and it was likely someone from that community heard something about it. But to our surprise, Kristy was unable to obtain any more leads on who was involved…………but she kept searching. As FATE would have it……finally, the lead we had all been waiting for. A couple of weeks after our discussion with Dan and his story, my father in-law Edwin Glenn (co-owner) made a short trip to the Skyway Model Shop to get some hobby supplies. As he was casually talking to one of the employees (James McCowen) about our boat restoration plans, the subject of the cowling came up. Coincidentally enough, a gentleman (Joe Clemmon) came in the store to give one of the other workers a ride home. Joe overheard Ed talking about the cowling and quickly joined the conversation. To Ed’s surprise, this person just so happened to know something about the propeller search and who was involved. 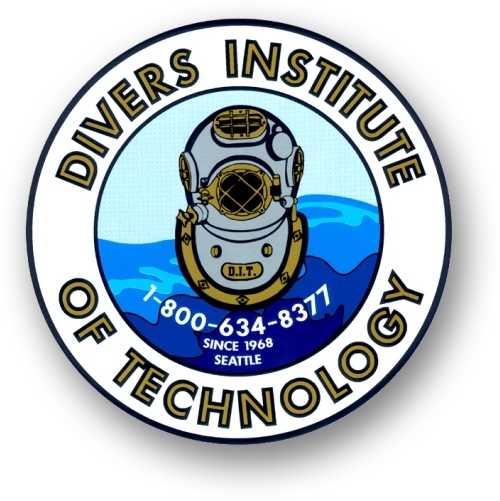 It was during this “chance” encounter that we got our first lead…………..the “Divers Institute of Technology”. We were even provided a few names to contact…………..what are the odds, right? Lucky indeed……….talk about being in the right place at the right time. After Ed returned home, he couldn’t wait to tell the rest of us what he had learned. I then immediately drafted a letter and sent it and emails out to the D.I.T. for verification, anxiously awaiting their reply. It was 10 days later that we got our first response back from the D.I.T. folks (it felt like it was weeks), notably from Frank LaQue (former D.I.T. Director of Training). Frank went on to tell us that they were indeed the ones who helped with the propeller search and that they also found “something” big……but didn’t know what it was exactly. However, Frank informed me that a video recording was made of the “large” object and he provided me with the name of the person who may still have that recording. 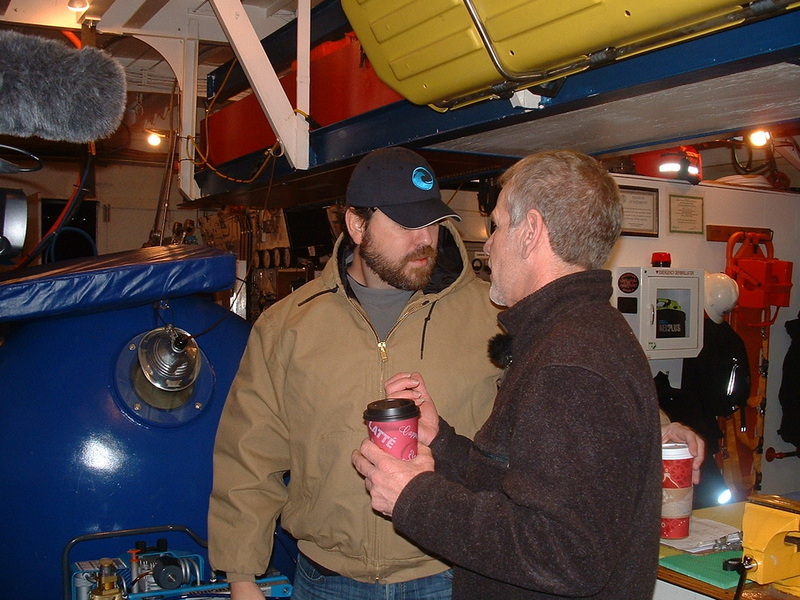 The name given was a man by the name of Jesse Rodocker (SeaBotix Inc.)………..now remember that name, because he was the crucial key to the success of this whole operation. I then searched the internet to track this person down, which didn’t take long at all. I immediately emailed Mr. Rodocker about our project and that the D.I.T. gang referred us to him. We received our first response back from Jesse the very next day……………..and everything was confirmed. 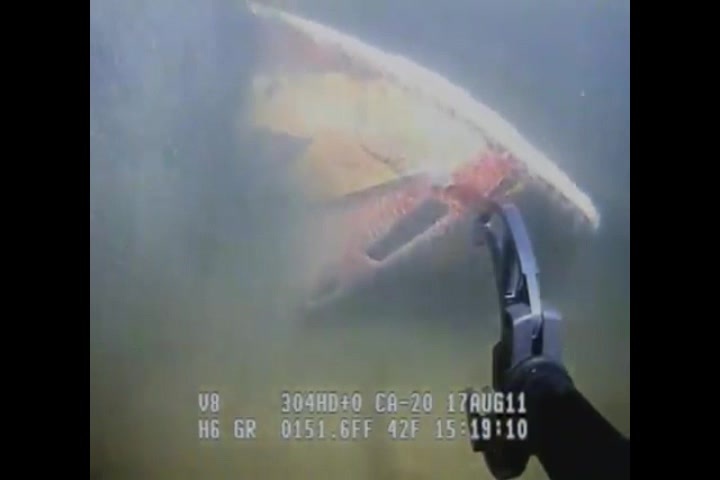 In the email reply, a video attachment was included and it was then that we saw the cowling for the first time on the lake bottom. This was no longer just a story, or a myth if you wish to call it that………….it was real. No doubt about it, it was from the 1979 Squire Shop………..and it still looked to be in good salvageable condition. 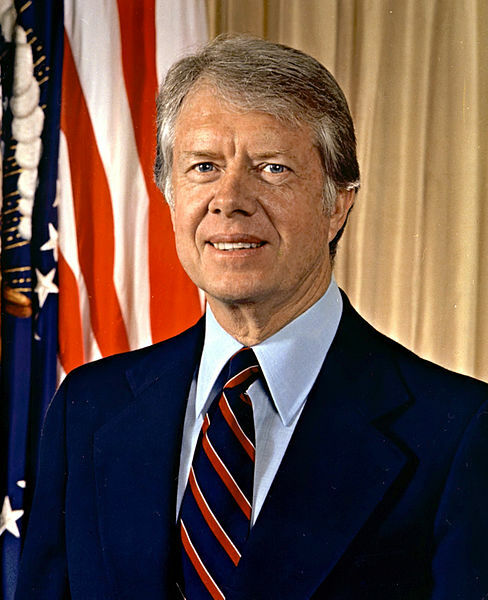 Just to give you an idea of how long it had been down there on the lake bottom……………..Jimmy Carter was still the president of the United States at the time it blew off the boat. 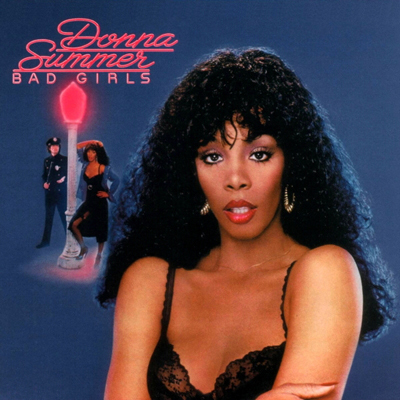 The #1 song in the top 100 Billboard Chart was Donna Summer’s “Bad Girls”, and the first NASA Space Shuttle was still two years away from its maiden flight. So yes............................it’s been a very long time. 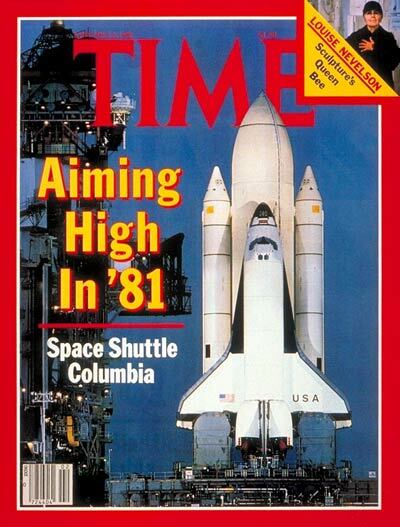 The cowling wasn't re-discovered until the summer of 2011, some 30+ years later…..and only by pure coincidence. We informed everyone of how crucial this cowling was to our restoration plans, that it would provide so much detailed information in terms of measurements and historical value. 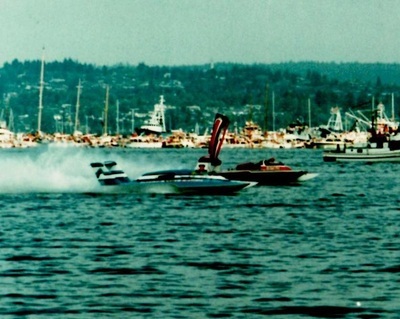 This was an important piece to the hydroplane community and Lake Washington history…………..this was a big deal. As you can imagine, all of us were extremely excited on our end. Now that we had confirmation that the cowling was indeed still down there, we discussed what our realistic options were in trying to recover it? To our surprise, both Jesse and the D.I.T. crew volunteered to help us out, as they wanted to assist us in our restoration project wherever they could. Boy Kayona was the driving force behind the D.I.T’s involvement, and became our primary point of contact with them on this project. We knew nothing in terms of equipment and resources that was required, or even where to start looking. That wasn’t going to be a problem apparently, as Mr. Kayona informed us that everything required would be provided………(except the R.O.V.) they just wanted us to enjoy the experience and to return the cowling back to us. Talk about helping someone out………….amazing generosity!!! This whole adventure was dependant on the small availability window of the D.I.T. and their training schedule. The cowling rested in 150+ feet of water, which is considered a “deep dive” by their training standards. That means that the D.I.T. group only performs such dives twice a year, so our opportunities were extremely limited. Lucky for us, they also had a boat to use as well (a very large one at that). Not only was their schedule a concern, but we also had to ensure the R.O.V. (Remote Operated Vehicle) equipment and operator would be available. Remote Operated Vehicle (series: vLBV) / SeaBotix Inc.
Mr. Kayona informed us that they would contact us when such an opportunity arose and to “sit tight” until then. As the next two months went by without hearing anything from the D.I.T., we naturally started getting anxious. And then it finally happened, that long awaited email that said we have a date available…………..we just needed to setup the R.O.V. part of the equation. Without the R.O.V., we would literally be looking for a needle in a haystack without any visibility or reference points. So yes, we absolutely had to have it on board, or there was no point in even going out. I contacted Jesse again, asking if he was interested in and available to join us. Sadly, he would be in Australia during that time and was unavailable. However, Jesse was able to recommend someone else who may be interested in helping us out instead. It was then we got in contact with Sergio Da Costa (Sound Metrics) and he agreed to join us on our adventure. Now that we had all the major players and equipment involved, we were a go……….the 1979 Squire Shop engine cowling was ready to be rescued from its cold, dark, and watery grave. But one thing remained, something of this magnitude should be captured on film………..surely this was something the media would be interested in, right? The first name that came to mind was hydroplane legend Chip Hanauer himself, who coincidentally enough hosts his own online reality show called simply “The Boat Guy”. I’ve know Chip for over 20 years now, and I thought this would be perfect material for his show. Since Chip was the original driver of our boat, he should be there to witness it’s recovery…………….as he was the one who lost it in the first place. I emailed the producer for Chip’s show (Sam Bissett) and he agreed that this would make for an awesome episode. I wanted to make it a surprise for Chip though, so he had no idea what Sam and I had signed him up for. So here we were, it was finally the moment we had all been planning and hoping for………... judgment day. It was a cold, foggy early December morning (2013). Ed and I pulled up in a rented U-Haul pickup truck, just in case we got lucky. Chip arrived not long after us and quickly figured out it had to be hydroplane related, after seeing us standing next to our rented pickup. Ed and I told him he was right, and what it was we were going after. Chip loved the idea, and thought this did in fact have the makings of a great show. We soon made our way onto the boat and the “treasure hunt” was underway. This was the day we would find out if all the research and persistence would finally pay off. As excited as we all were, we were just as anxious………this was it. During our trip towards the dive site (Jesse provided us with the GPS coordinates), Chip and Sam were able to interview the D.I.T. folks about their school and training programs. Once we arrived at the site, everything quickly turned to “all business”………..and then Sergio quickly got to work. I was hoping we would find the cowling relatively quickly, but as the minutes turned into hours…………we realized we were going to come up short this time around. We all started getting really nervous, asking ourselves……….”is it possible someone else already recovered it”, or “are we looking in the wrong place”? I think we searched everywhere around the cowling but somehow just missed it. Visibility that deep is only about 2 feet, so if you don’t almost literally run into your target…..you simply will not see it. Eventually, the decision was made to call off the search and we had to head back. We were all really disappointed………to be right on top of it and come up short was devastating. We were so close…………….we could almost taste it. Sergio felt like he really let the team down, and he gave it his best. I told him that everything was ok, you just never know with things like this. Although we came up short, there would be other opportunities……besides; it was a lot of fun and a great experience. Andre Ninaud (D.I.T.’s ship’s Captain) didn’t want to head back at first, he really wanted us to find this cowling. Against his best efforts to keep us out there longer, we had to abandon the attempt and head back to port. Mr. Kayona was quick to offer the D.I.T.’s services again in the future, so this wasn’t our only shot at finding it. These guys were really behind us, they got sucked in hook, line, and sinker. We left empty handed, but we knew we would get another opportunity soon enough. I emailed Jesse about our failure, telling him Sergio just couldn't find it. Jesse was surprised, but was confident it was still down there. An object at that depth and size wouldn't be easy to recover without specialized equipment, so it was likely still where he found it two years earlier. Jesse comforted us by stating that when he was back up this way again, he would venture out and relocate it again………………to erase any of our doubts. This isn't the end of the story, please continue with part II on the tab above.